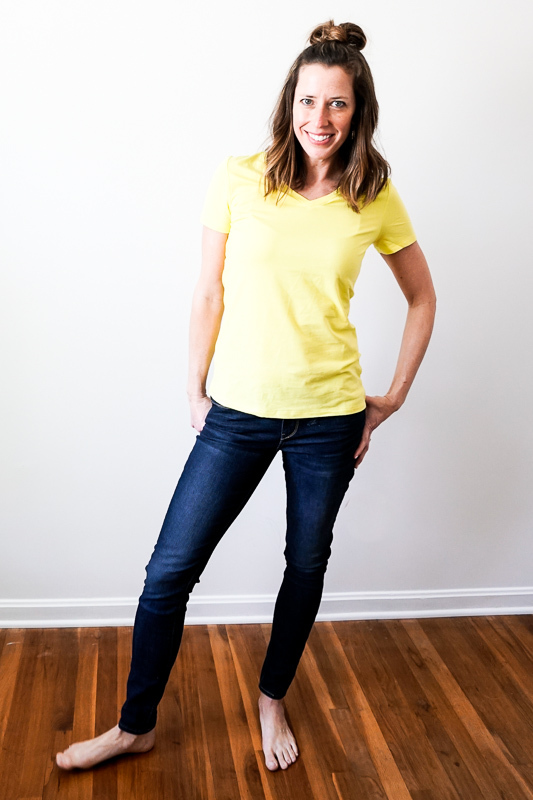 We scoured Amazon and came back with our favorite casual Spring Wardrobe essentials for women. Everything on our list is under $30 and available on Amazon Prime (which means free shipping and returns!) 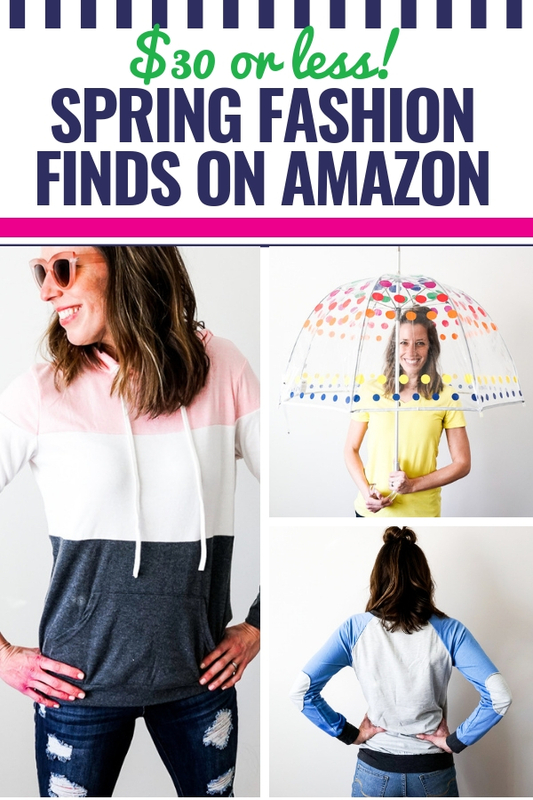 Whether you’re a teen or over 40, these fun spring fashion finds will be the perfect addition to your wardrobe. Let’s start with the real basics. 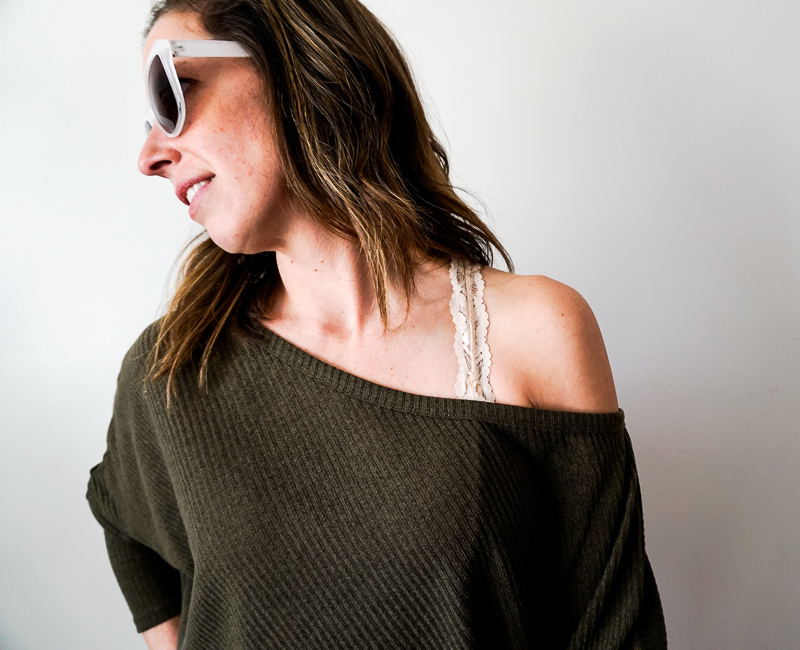 Every spring, I’m reminded of how much I hate my bras – especially the straps that always seem to be falling down or peeking out of my favorite shirts and tanks. And don’t even get me started on the t-shirts. Why is it that they seem so nice when I pack them away in the fall only to look worn out and dingy when I pull them out in the spring? For all of the long torsoed ladies out there, HOLLA! These 2-pack sets of v-neck T’s must be in your Amazon Prime cart immediately. 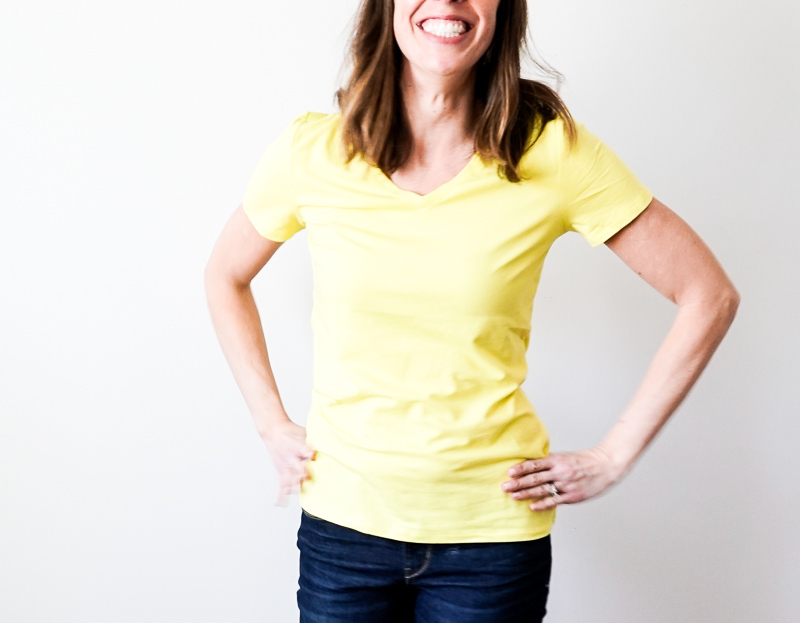 There is never a time when solid and striped T-shirts haven’t been part of the classic style trend. 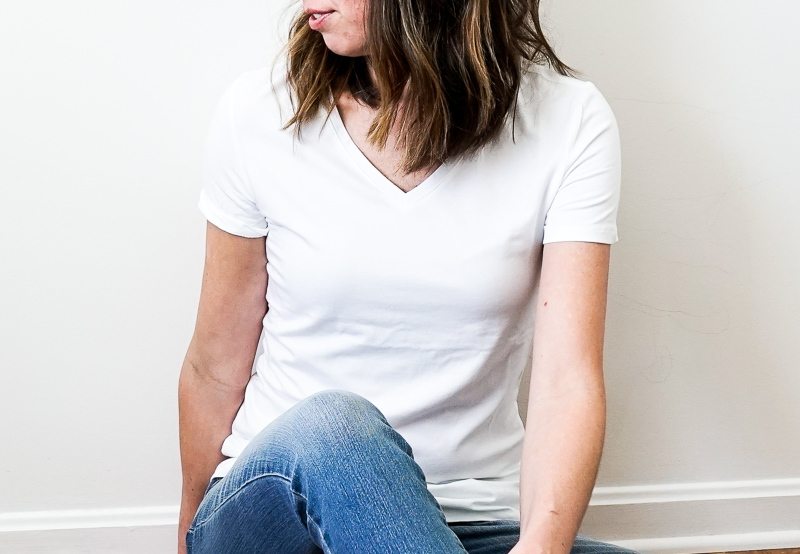 Perfect for layering or wearing alone, these T-shirts can be dressed up or down with a few accessories! And they come in multiple colors! Price: Less than $20 for a 2-pack! Click here to see them on Amazon. 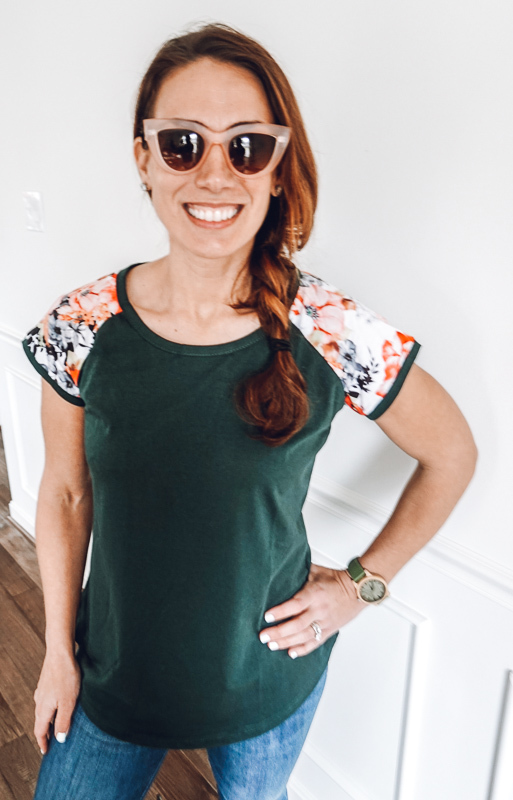 The pictures are not doing this top justice, and that borderline breaks my heart – because this is about to become my favorite shirt ever. 1. 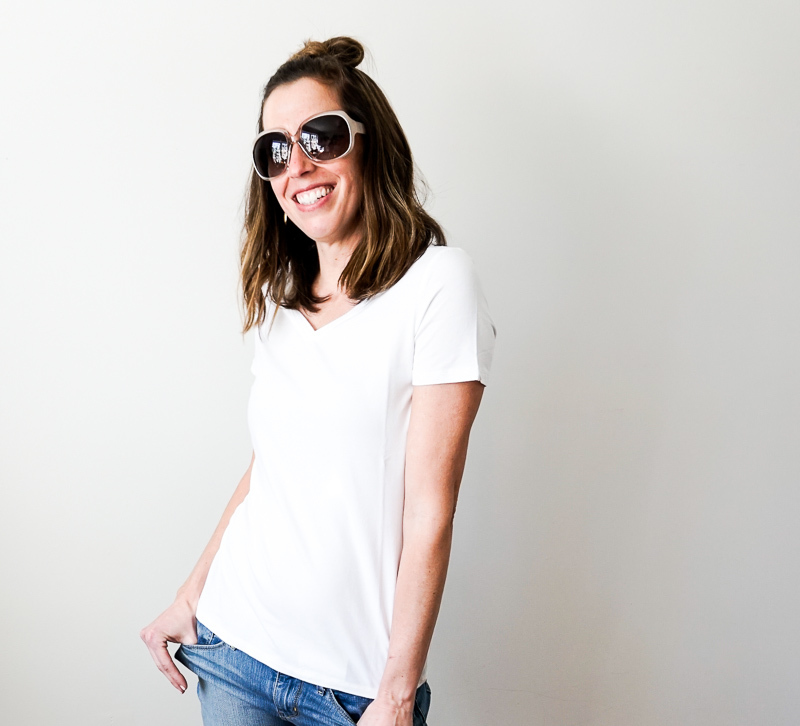 It’s a cotton and polyester blend – but it’s a heavier weight cotton. It feels like a super expensive shirt. 2. It’s less than $16 !! 3. The pattern on the shoulders is breathtaking. Okay – that might be a little dramatic. But it’s truly great. 4. The different color options! I might go for black next, but the pink is also calling my name. 5. Oh – one more thing – it’s got that awesome curved hemline – so it looks perfect untucked – but you could also do a side tuck too. Fit: This sucker runs a little large. This is a size small, and I felt like I could have gone down a size. Flirty, precious lace straps. Wirefree. Light padding. Breathable. We adore these bralettes when light support is needed and a polished look is your mission! No need to worry about your straps when these lacy straps become an accessory to every outfit. 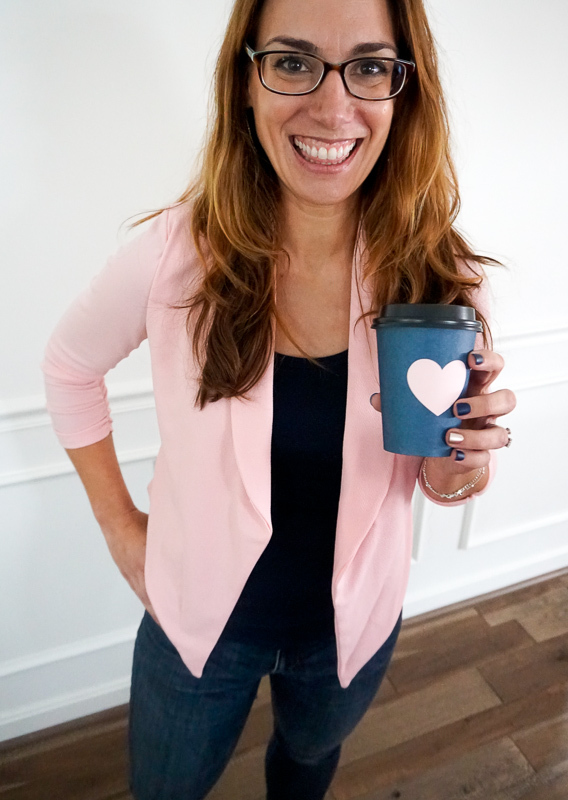 And yes, they come in multiple colors! 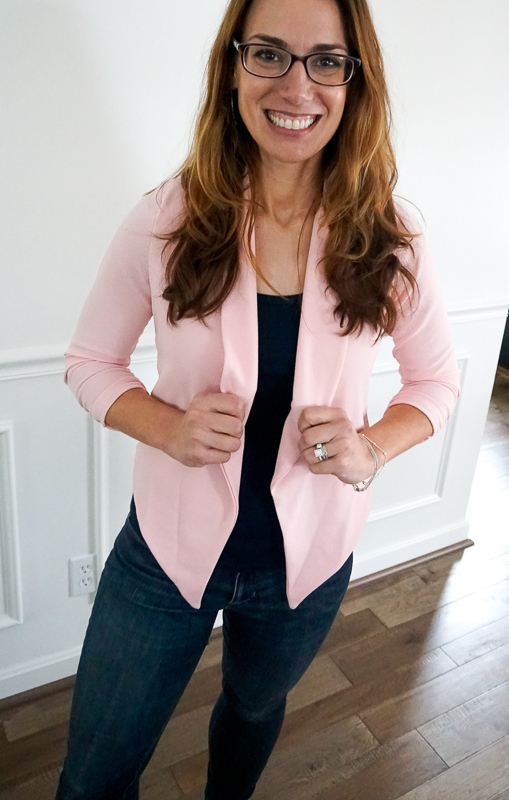 These fun sweatshirts and lightweight blazers and cardigans are going to leave you hoping that spring lingers for as long as possible so that you can wear them well into the summer months. 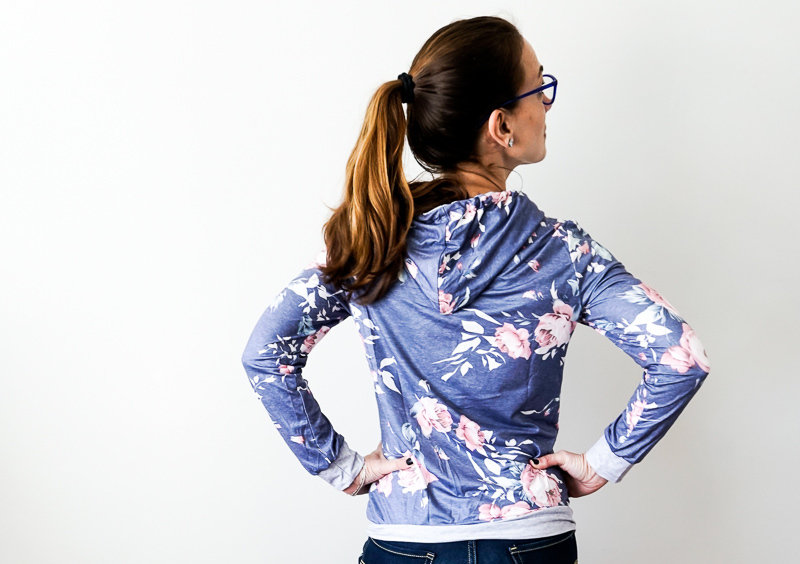 Never overthink a sweatshirt again! This one is precious and for everyone! 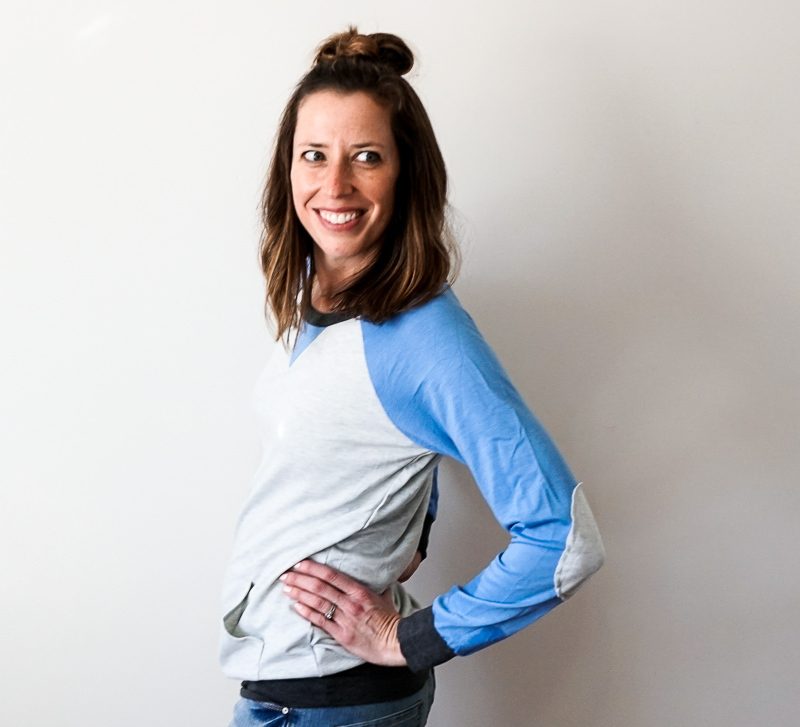 The block coloring is slimming and dresses up the look of a traditional sweatshirt. 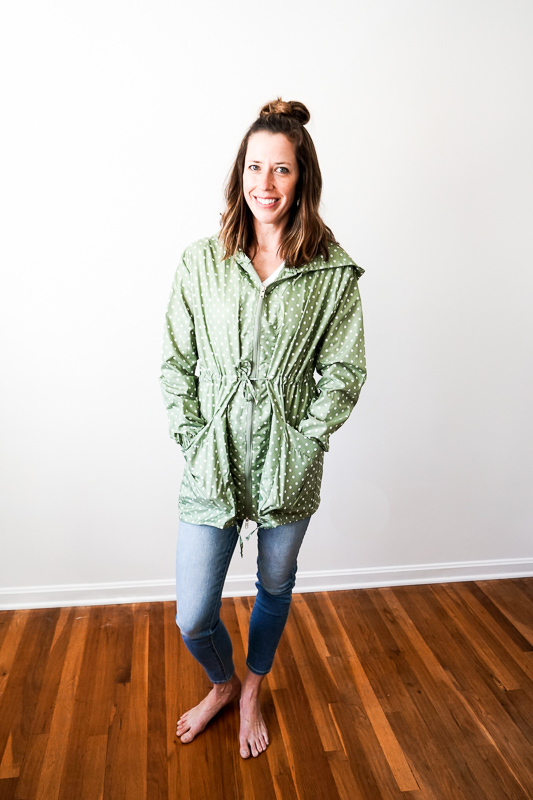 With the fabric being lighter, it is comfortable, breathable, and soft. Trust us, you will want to wear this all day, errrrrr day! 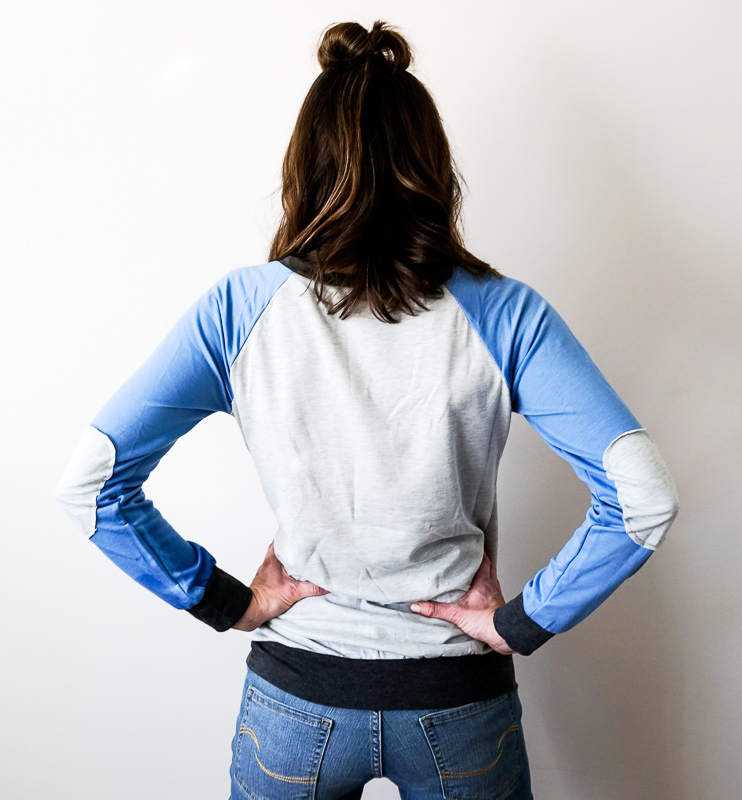 Psssstttt: THERE ARE ELBOW PATCHES!!!!!!!!! This sweatshirt is nothing short of perfection. Front pocket rounds out the casual style of this stunner in all the right ways. 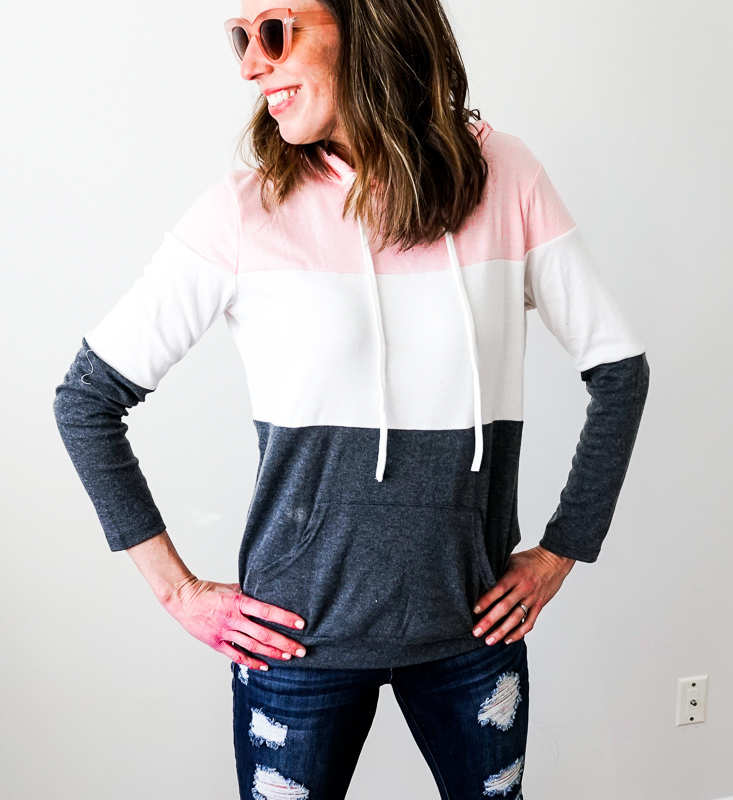 Without the extra weight of a hood, this sweatshirt is perfection for those spring days when the sun is on blast and the birds are singing their songs. 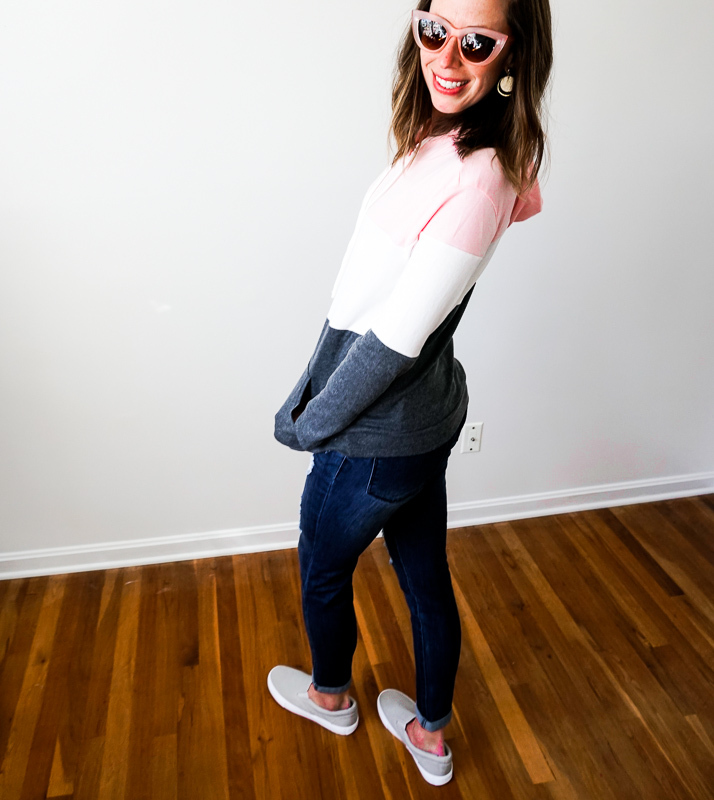 We are not sure why this is listed as a ¾ sleeve, as it hit us just where you would expect a long-sleeve item to rest on the wrists. Fit: Runs a little small. We recommend going up one size. 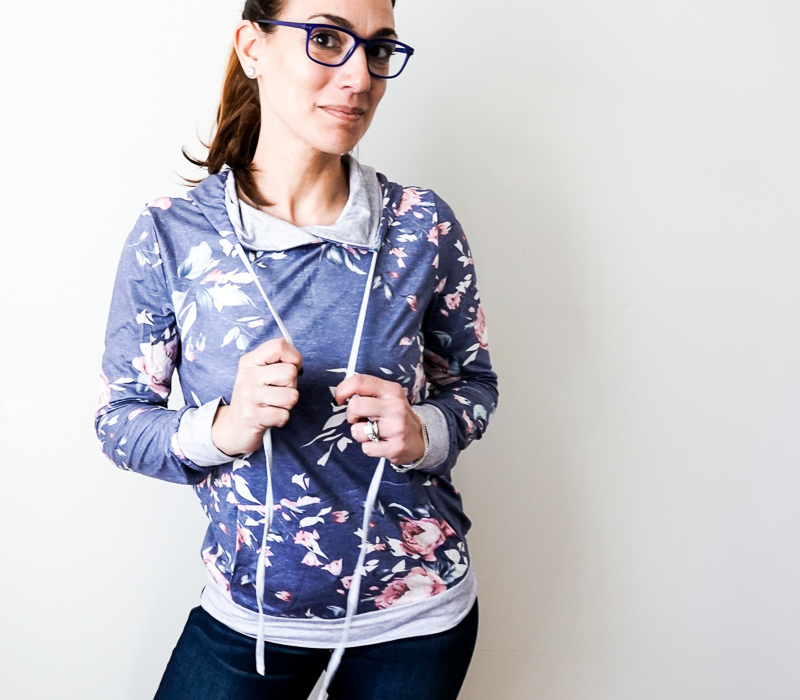 The hoodie that will usher you into spring and create a stir of admiration wherever you go…is right here! Available (order quick, as they won’t last) in a variety of prints – we LOVE this to the max. 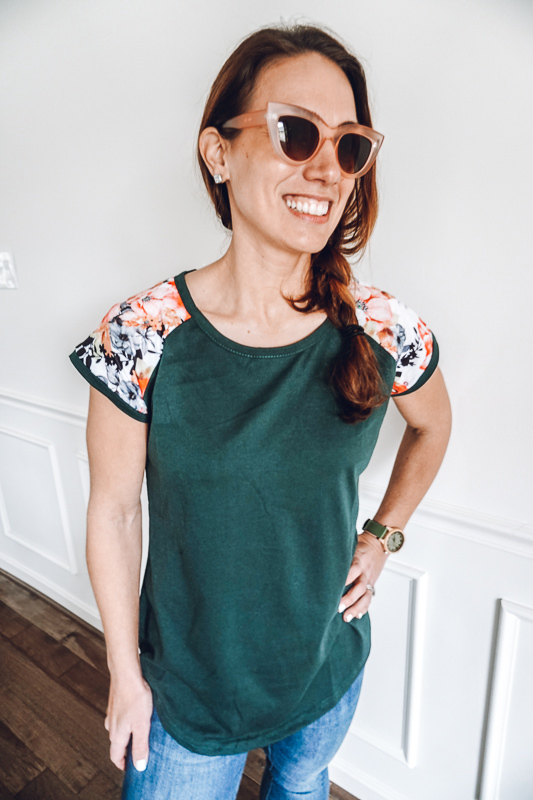 Having a lightweight fabric, it is versatile and wearable. 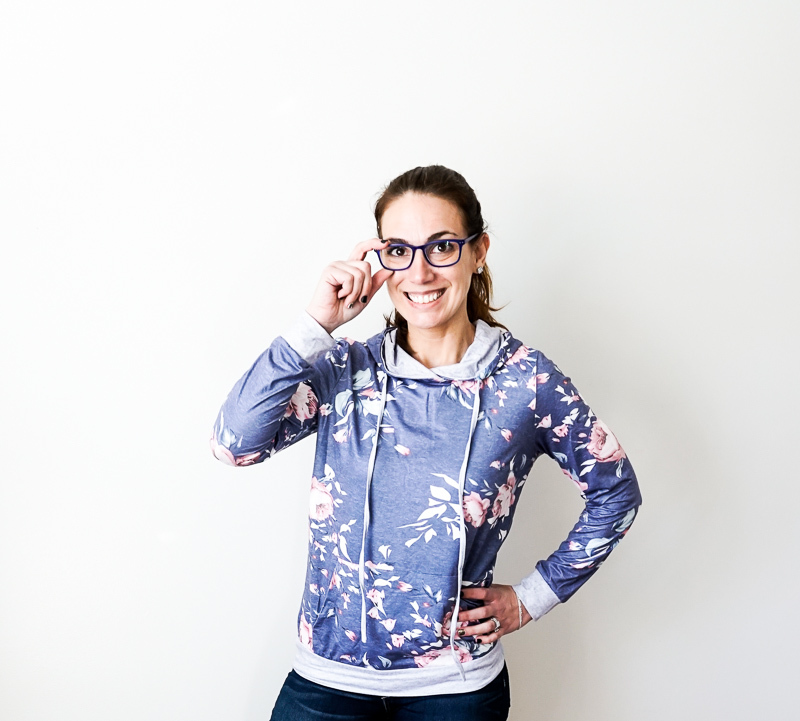 The waistband has comforting elastic band that allows the sweatshirt to rest perfectly on the hips while also slimming the upper body. 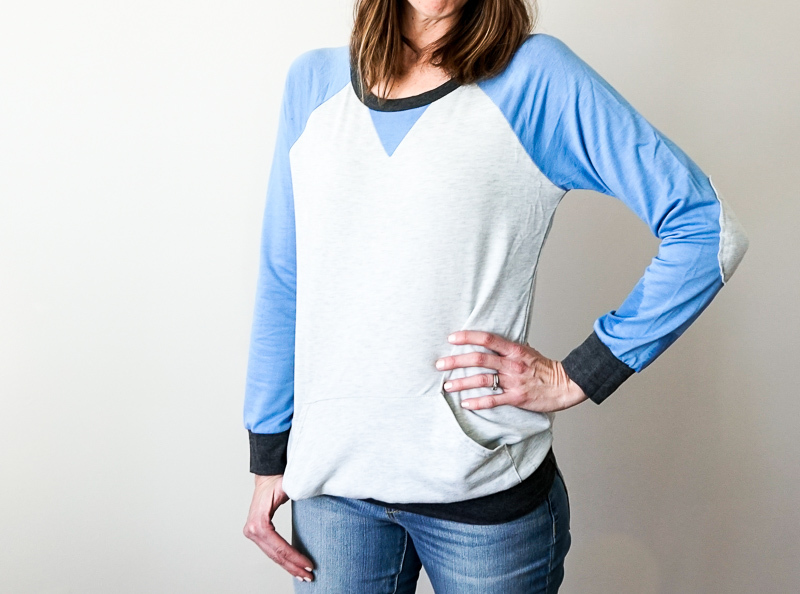 It is the end of an era…No more sloppy, oversized sweatshirts, ladies! Rain, Rain, Go Away? 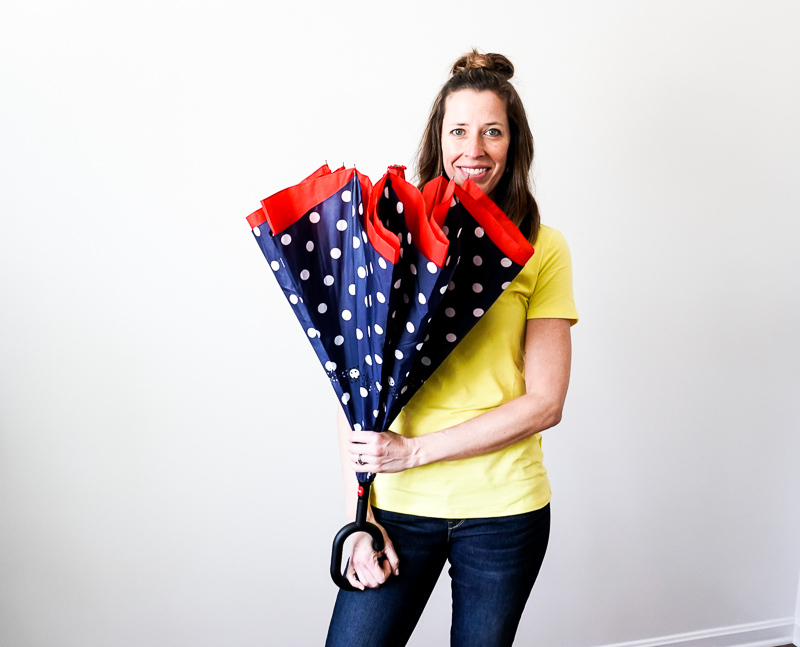 You won’t be singing that song when you have these fun umbrellas, rain boots and a rain coat to look forward to! 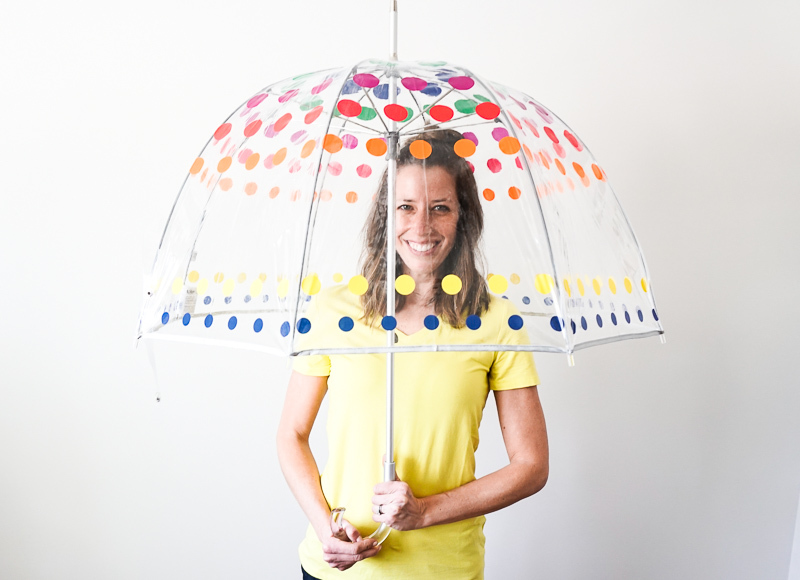 This Umbrella Will Make You Smile! 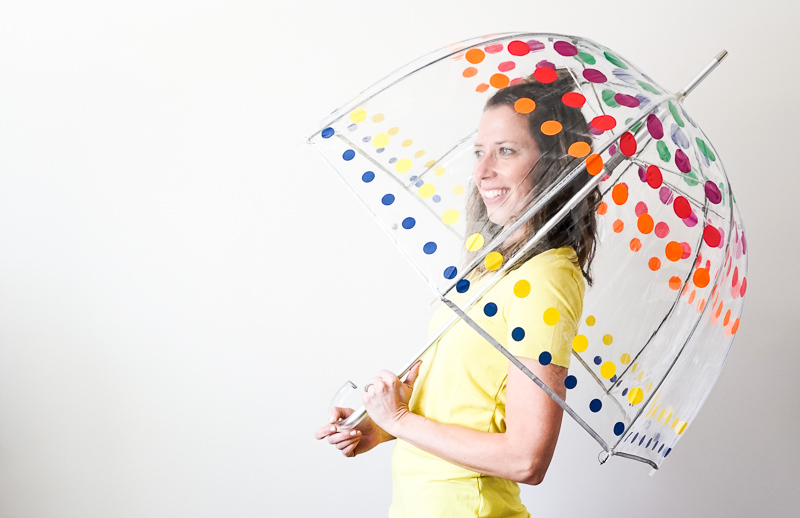 This is the world’s sweetest and most photograph-able umbrella. The dome-shape ensures complete rain shielding for the head and shoulders. When the weather doesn’t care what your plans are, this is the umbrella that should be in your toolkit. It turns ordinary, dreary moments into precious little treasures! 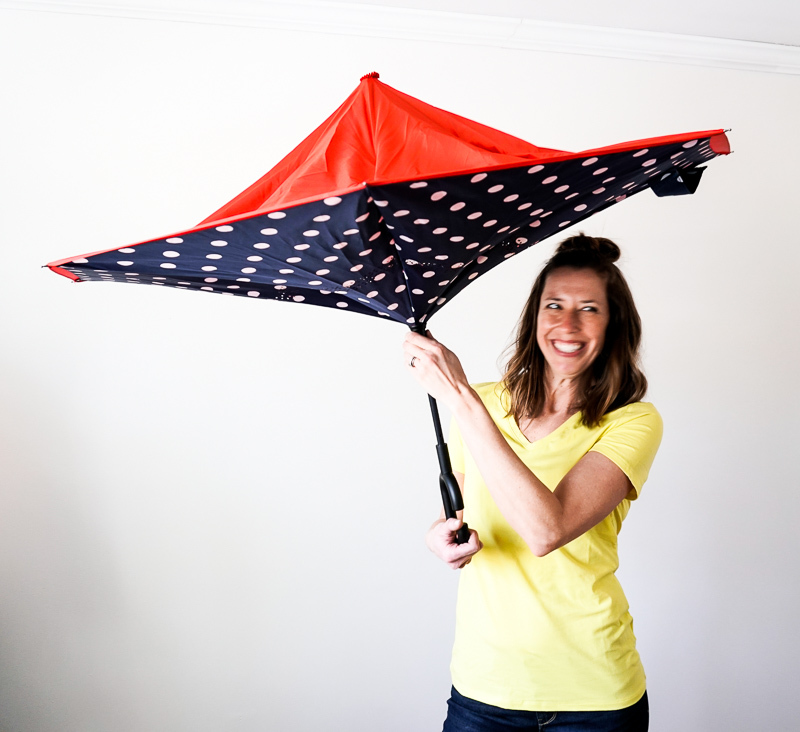 You Won’t Believe What This Umbrella Can Do! GENIUS! It is not everyday that an umbrella can make a style statement. 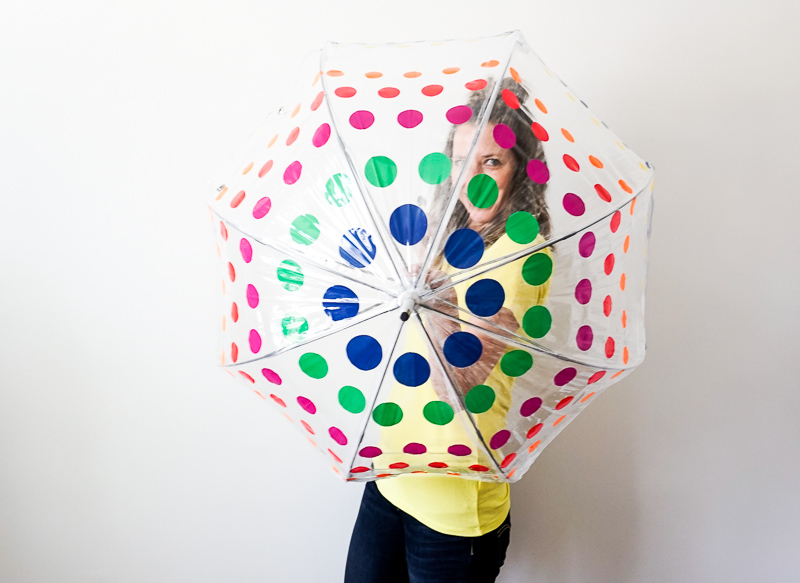 We LOVE this umbrella. 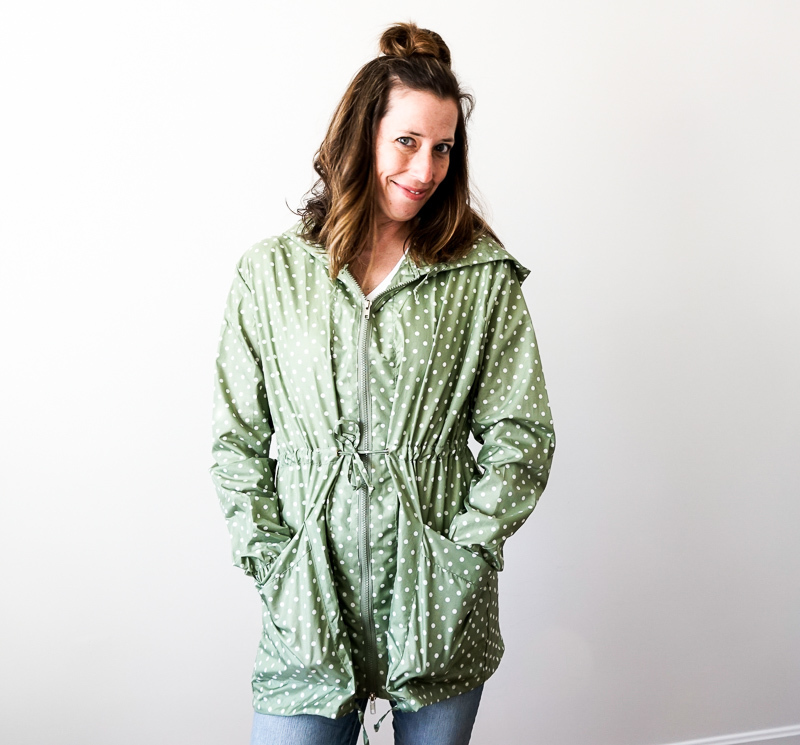 The inner lining acts as a catch for excess water, which means no more soaking your car or entryway after a cleansing walk in the rain. 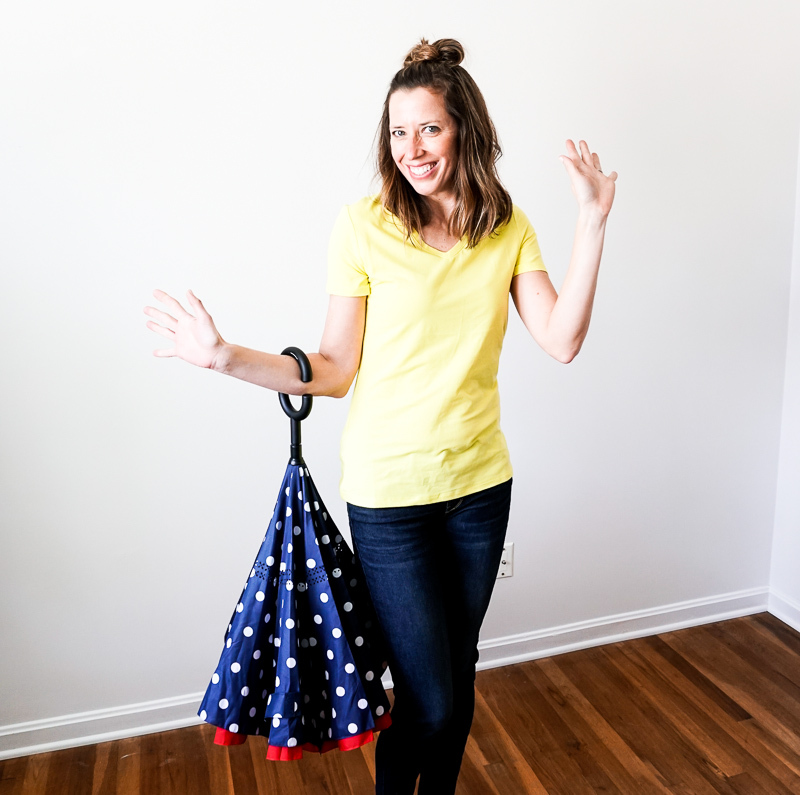 The handle is a clever shape, which allows for hooking it onto your forearm, leaving hands free for all of the other things that hands need to do! 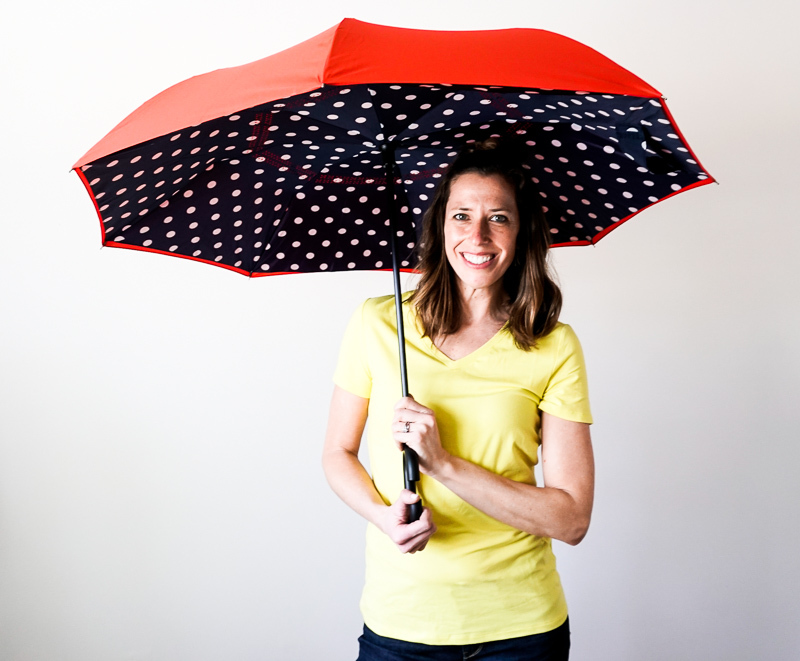 Select your favorite prints and colors and keep one of these gems in the car, in the office, at home, or wherever you need the security of great rain protection. There is no doubt, this would be the most precious and envied teacher gift, graduation gift, 40th birthday gift, or just-because gift!! 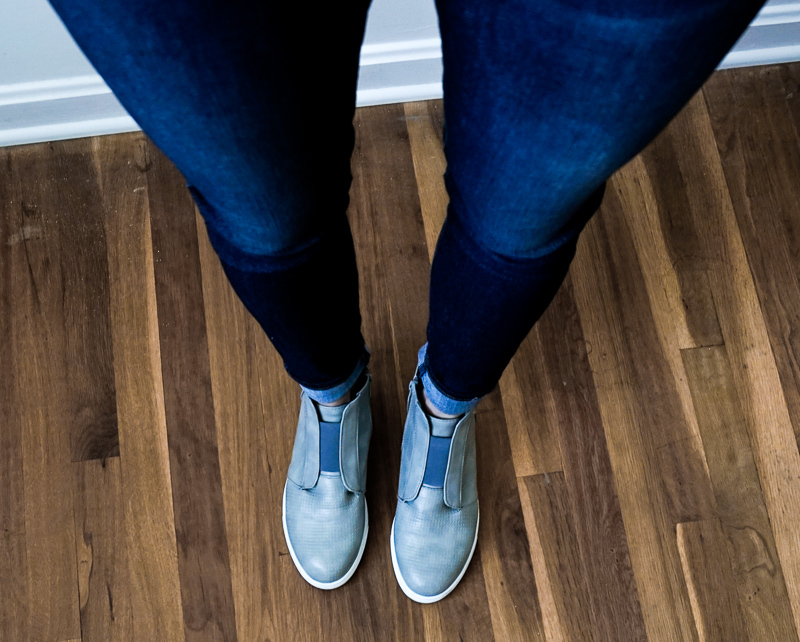 When your rain boot makes a statement…We SWOON. Rain boots like these make the raining days pleasurable. 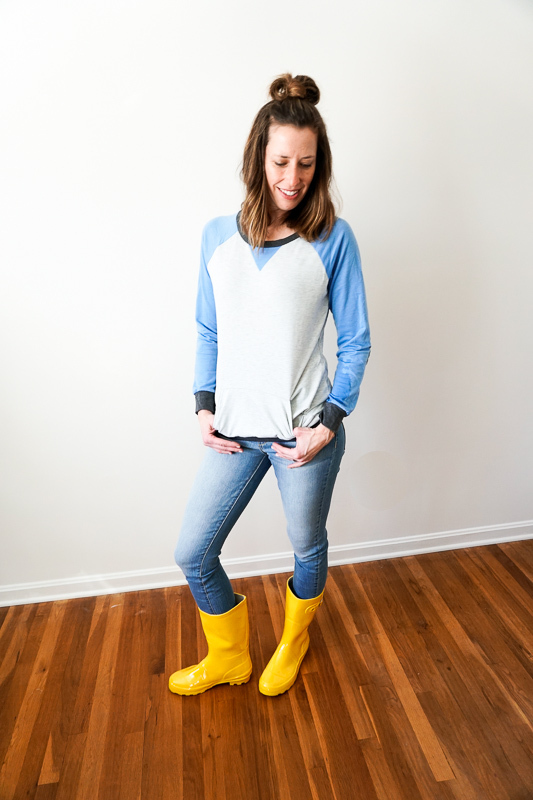 We recommend referring to the sizing charts to ensure a great fit, as rain boots tend to run a bit big. Do not even get me started on this rain jacket. Is it not the cutest? It also WORKS! 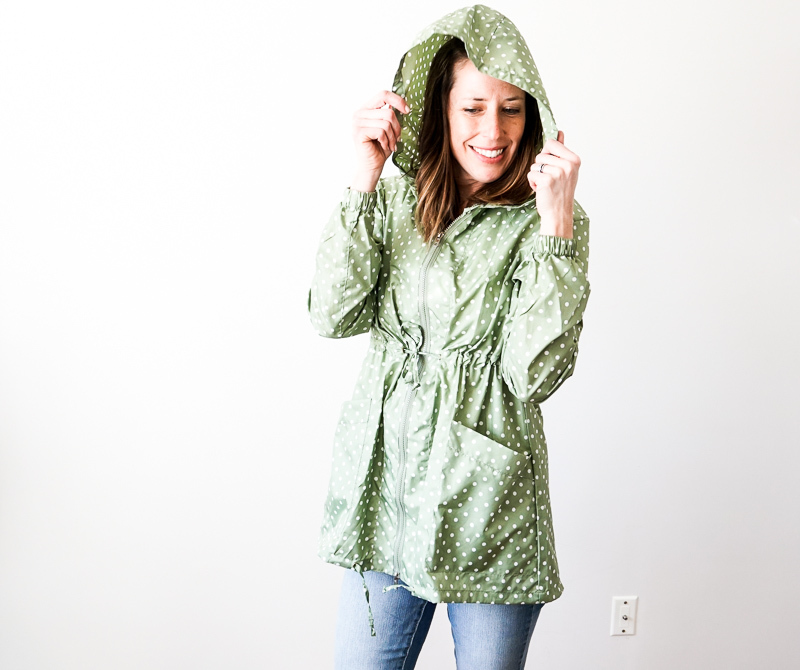 Unfortunately we’ve had a ton of rain recently, and this coat has kept me dry AND stylish. It cinches in all the right spots to be flattering – and it comes with the cutest bag that we totally forgot to photograph. Click here to buy it on Amazon for less than $25! 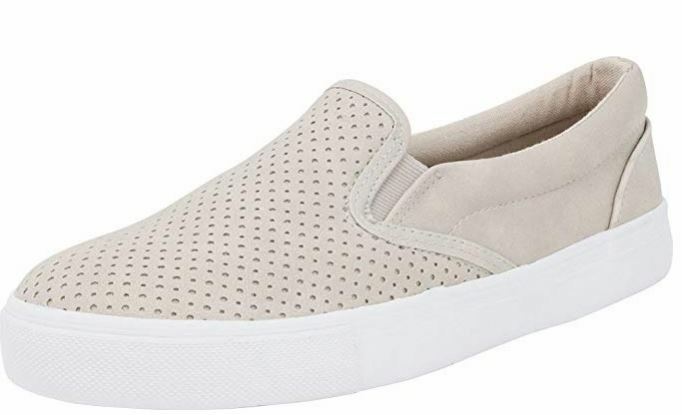 These sneakers are a comfortable, effortless way to level of your personal style. 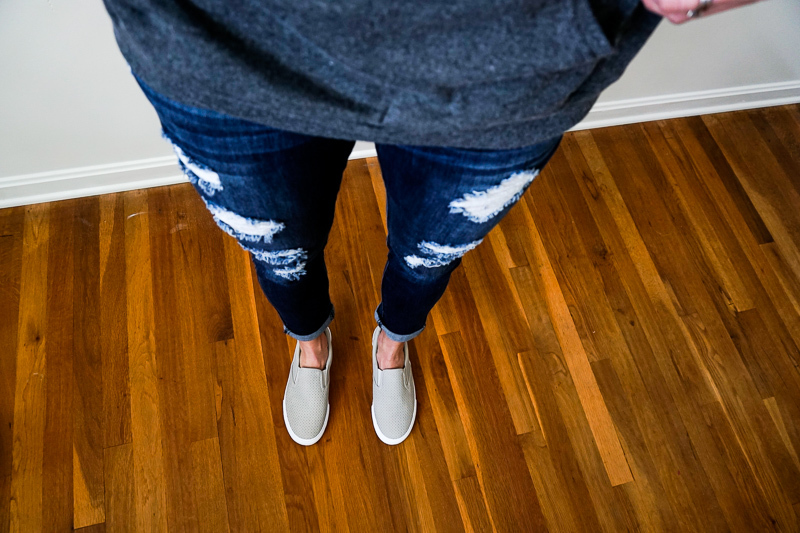 Instead of reaching for the worn out gym shoes, slip these fellas on for a chic and polished finale to your skinny jeans, shorts, yoga pants, or joggers. Price: $16 – $38 depending on size and color. We COULD NOT BELIEVE what these shoes did to slim and shrink the foot! Ladies. I am a solid 9.5 WIDE – so finding the perfect fit for me is a frustrating and soul-sucking process. When I received these, I had to pinch myself because it seemed like a dream. I wore them every single second (while awake) for more than three weeks. 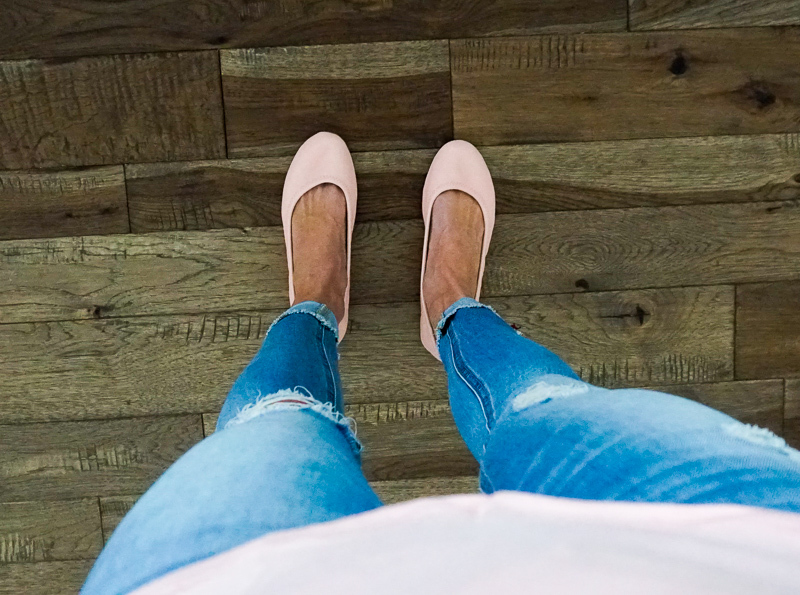 Not only are they comfortable, breathable, and lightweight, they made my feet look dainty and sweet and – LITTLE. 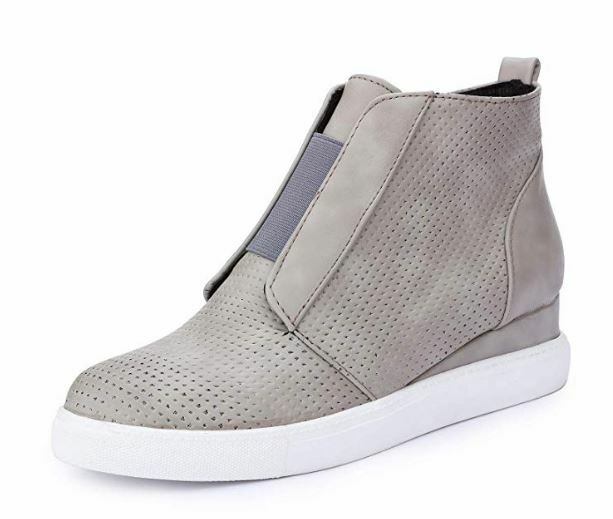 I have never had the gift of wearing trendy shoes as I just have to settle for what is available in my size, until now! Fit: These run a little large. I suggest ordering a half size down. Price: $17 – $33 depending on size and color. Click here to see all of our Amazon posts.